CART INSTRUCTIONS: Click on "Add to Cart" button for the item you want. A PayPal shopping cart will appear. Change quantity and update cart if you want more than one. Click "Continue Shopping" to order other items. When finished, check out through PayPal. INTERNET EXPLORER users see special instructions at FAQ No.1. Used Heathkit Part No. 462-191. Average to better appearance and usually a little lighter green than knob below. May need cleaned off a little. 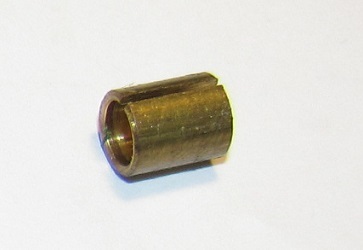 These usually have a slotted head set screw. Used Heathkit Part No. 462-191. Average to better appearance and usually a little darker green than knob above. May need cleaned off a little. These usually have a hex head set screw. Used split bushing, Heathkit part No. 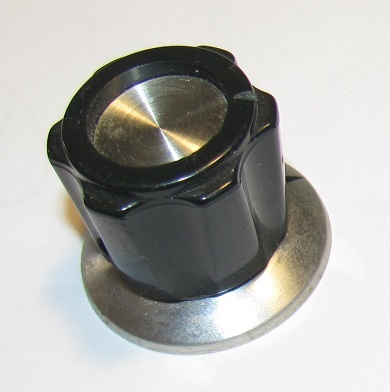 455-11, used inside some knobs when used on smaller shafts.